The Monique Lhuillier Illusion dress is a classic. The delicately beaded neckline and light floating skirt come together in a timeless silhouette that's flattering and elegant. 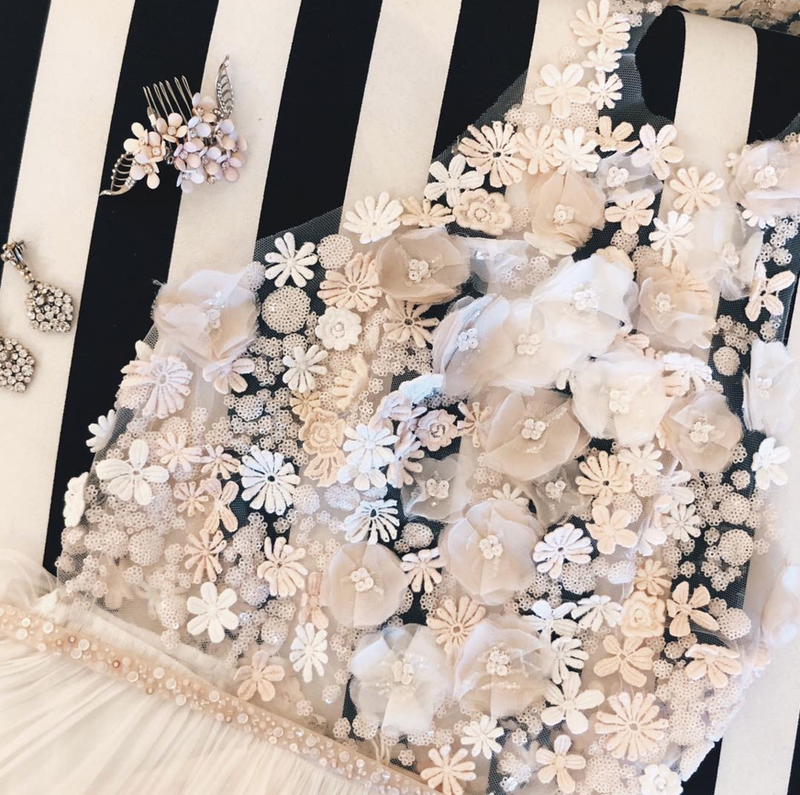 Find it here at The Find Bridal for 70% off the original price through this Saturday only - that's just over $2,000 for a true Monique Lhuillier beauty. 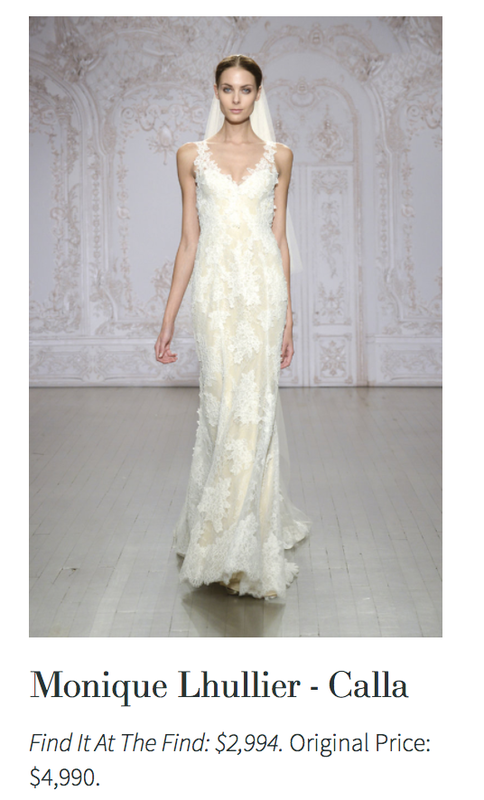 The Monique Lhuillier Floressa gown is, for this week and this week only, 70% off. Come find it now, while you still can. Come find these Monique Lhuillier dresses and more - 40% off - at The Find Bridal. Need we say more? 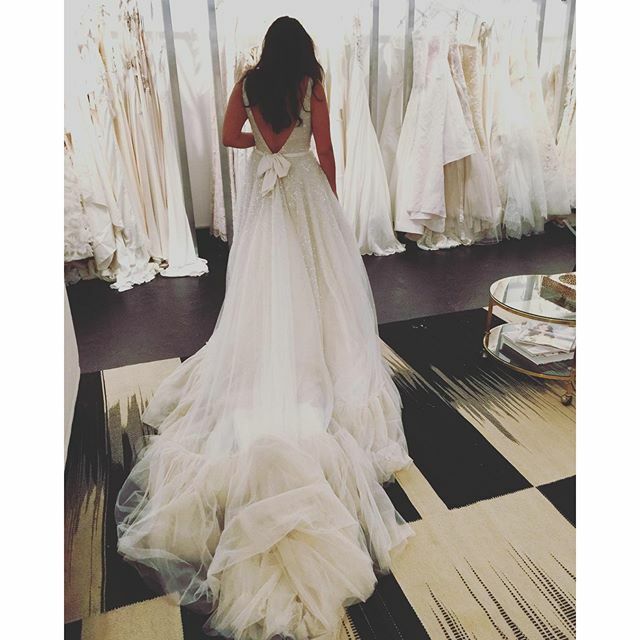 We are always in the mood for a Monique Lhuillier find. But lately, these timeless dresses are especially calling us. Something about the breeziness and effortlessness of the lace feels just right for a summer wedding. Come in and find the dress that you've been looking for at the price you want to find.